1950`s Spanish silver floor lamp. 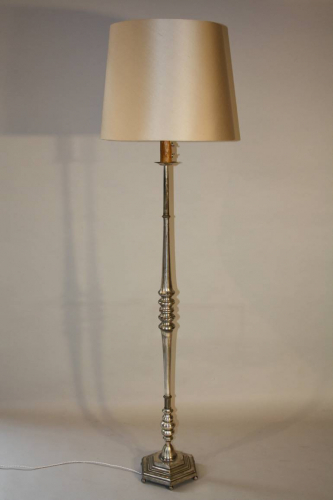 An elegant shaped silver metal floor lamp of excellent quality. c1950`s Spanish. The shade has been recovered in silk and the lamp is rewired and PAT tested for UK use.